Abstract: Wind turbine towers welding’s have to be often inspected superficial and internally during its manufacturing. The system to be presented in the talk is capable of automatic and autonomous inspection of the entire length of the circumferential weldings in a minimum period of time, combining high-resolution cameras and lasers for welding visual inspection and several geometric measurements and Ultrasonics (Phased Array and TOFD) for 100% volumetric welding inspection. Moreover, with the visual inspection software, the UT probes are constantly being aligned with the welding geometric center. In addition, a smart algorithm is responsible for the automatic evaluation of the Ultrasound signals according to the inspection standards or predefined by the user, where it identifies the possible welding defects and mark them up with visible paint in the wind turbine tower for repair. Abstract: CMOS image sensors are today dominating the field of commercial and consumer photography, and are rapidly making inroads into medical and industrial x-ray imaging. For non-destructive radiographic testing, CMOS technology offers high spatial resolution, fast frame rates and superb image quality, allowing radiographers in fields ranging from Oil & Gas to Aerospace to replace their aging stockpiles of film with convenient, state-of-the-art digital imagery.This talk will discuss some of the fundamentals of large-area CMOS x-ray imagers, and highlight specific application examples where CMOS technology has been used to solve real-world NDT problems. Abstract: X-ray based computed tomography (CT) has revolutionized diagnostics in medicine since the seventies and is used for non-destructive testing (NDT) for over 30 years. Industrial CT applications in quality control and product development are growing since the end of the nineties. Applications can be differentiated by the energy of the applied X-ray radiation – low energy applications up to about 200 keV for small and lower density specimens like plastic parts or high energy applications typically up to 450 keV for larger specimens like metallic casting parts. In the mid-eighties X-ray tubes with micron size focal spots have been developed to achieve higher resolutions than previously possible with conventional X-ray tubes. Typical micro focus tubes in comparison to conventional X-ray tubes are limited in energy and power. This presentation is especially about outstanding technical achievements regarding micro focus X-ray tubes with a high energy spectrum up to 450 keV and significantly higher power ratings. In combination with state of the are CT technology this opens new possibilities for the development of new and innovative products and manufacturing techniques. Abstract: Non Destructive Testing (NDT) is used through the entire life cycle of an aircraft (fixed and rotating wings): from the engineering design – airworthiness certification – manufacturing – to in-service aircraft. NDT methods can be “full-field” or localized and use different type of sensors/detectors. The fields of application and the types of inspection require systems / sensors for the increasingly advanced inspections in terms of sensitivity and resolution without forgetting the reduction in time; in particular, the introduction of ever new materials / processes and innovative structural solutions require the need to explore new methods of control. In this paper two typical cases will be presented in detail: one dealing with the characterization of non-conventional discontinuities/defects (resin pocket) in polymer-epoxy matrix composites, the other with the characterization of manufacturing processes using metallic powders in Additive Manufacturing. 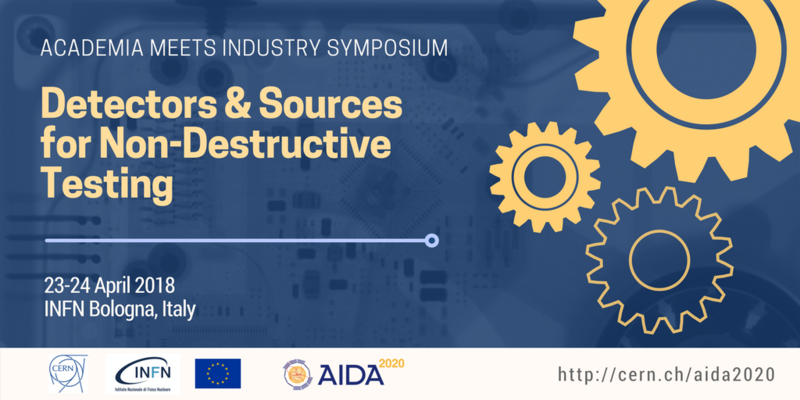 Abstract: This presentation is about new Non Destructive Analysis (NDA) techniques in the first level Failure Analysis flow for electronic components and modules. With unclear defect locations F/A engineers prefer to start with NDA steps avoiding removal or interfering with the root cause defects. MASER Engineering will present its NDA capabilities on Electrical, XRAY, SAM, LIT and EOTPR analysis. All techniques give valuable information about the defect and help in the decision process entering the next (destructive) steps. More and more electronic components become 3D System in Package designs, concentrating complex assembly and materials in a small enclosure. After an update of modern IC package assembly complexity, each of the five analysis steps will be shown with real application examples. High resolution, online X-ray imaging of large objects with complex shapes if often challenging. We are presenting a robotic X-ray imaging system that, contrary to the classic X-ray imaging setups, gives nearly an absolute flexibility in the X-ray image positioning and viewing angles. Therefore, robots allow “looking” with X-rays from a different perspective to better localize defects. Moreover, robots open possibility of using 3D imaging techniques such as computed tomography or tomosynthesis of a selected area of a larger object. The flexible robotic system is moreover combined X-ray photon counting imaging detectors produced by the Advacam company. The detectors are based on the Medipix technology and bring major advantages compared to the conventional X-ray imaging. The advantages are a high contrast, high resolution and spectral information. The spectral information allows identifying different materials in the sample further expanding possibilities of the system. The robotic X-ray imaging system is particularly powerful for inspection of light materials such as composites. There, defects such as porosity, foreign objects, micro-cracks and other can be detected with spatial resolution of 55 µm or better. Combining the imager sensitivity and properties with the flexibility of robots creates a powerful tool for NDT in airspace industry and elsewhere. Abstract: Hybrid Photon Counting (HPC) X-ray detectors have revolutionized the fields of single crystal- and powder diffraction over the past 10 years, and are now also increasingly used for imaging applications in medicine and industry. HPC detectors are comprised of a sensor part and a readout part, with the sensor bump bonded to the readout ASIC. An appropriate ASIC design gives the detector noise-free photon counting, a near ideal modulation transfer function significantly superior to indirect detection systems and virtually unlimited dynamic range. The detectors employ multiple energy-calibrated thresholds for each pixel; and a counter is incremented for each event exceeding the respective thresholds. This enables the resolution of the X-rays in multiple energy bins. This work will give a broad overview of different applications of HPC detectors for applications in industrial testing and inspection. Experimental results of application- and characterization tests with DECTRIS HPC detectors will be presented, with an emphasis on the spectral capabilities. The talk will conclude with a discussion on the future of photon counting detectors for testing and inspection applications. Which hurdles need to be overcome for a wider adoption? How can their advantages be exploited? What gaps need closing? Amsterdam Scientific Instruments (ASI) manufactures and markets hybrid pixel detectors which are developed in collaboration with CERN. ASI’s detectors have unprecedented sensitivity and speed, making ideal for beam-sensitive materials in the field of CT, X ray imaging, SAXS, FEL, and Electron Diffraction. X-Spectrum GmbH is dedicated to providing cutting-edge detectors for X-ray experiments at synchrotrons and beyond. LAMBDA (Large Area Medipix-Based Detector Array) is a photon-counting pixel detector system based on the Medipix3 readout chip, with a small pixel size (55µm) and high speed, deadtime-free readout. This presentation will focus on benefits that usage of our hybrid pixel cameras will bring to a potential manufacturer. Our cameras are capable of the fastest continuous imaging, thus increasing inspections’ speed. Abstract: Over the last years, the liquid-metal-jet technology has developed from prototypes into fully operational and stable X-ray tubes running in many labs over the world. Key applications include X-ray diffraction and scattering, but recently several publications have also shown very impressive X-ray computed tomography results using the liquid-metal-jet anode technology, especially in phase contrast imaging. To be able to benefit from the higher power-loading capability of the liquid-metal-jet anode, advanced electron optics had to be developed. Based on this advanced electron optics, a new nanofocus x-ray tube is under development. The foundation of the new nanofocus x-ray tube is the advanced electron optics, combined with a tungsten coated diamond transmission target. The new nanofocus x-ray tube is designed to reach line-spacing resolution of 150 nm. Abstract: Pixirad is a start-up company that turned hybrid pixel technology originating from the Italian Institute of Nuclear Physics into commercial products. Over the last years, PANalytical and Pixirad have been collaborating on the use of this technology for X-ray diffraction, scattering and imaging applications in the Empyrean diffractometer. In the beginning of 2017, PANalytical acquired Pixirad, and both parties are now jointly working on next-generation hybrid pixel detectors for applications in X-ray diffractometers or other instruments. A technology that is robust against accidental irradiation by the direct beam and does not require periodic maintenance such as replenishment of detection medium. In this presentation, we will further present examples of the combined application of X-ray diffraction and CT-imaging obtained with PANalytical’s X-ray diffractometer Empyrean. A radiation detector is usually segmented in many independent sensing channels, each of which requires its own front-end amplifier and, in many cases, a full signal processing chain performing functions like filtering, sampling, A/D conversion, hit discrimination, time stamping and others. Such complex front-end electronics can only be implemented in the form of application-specific integrated circuits. The high level of parallelism, the coexistence on the same substrate of very low-noise amplifiers and high-speed digital circuits, the often large chip dimensions are among the key challenges the designers of these systems have to face. In the presentation, the critical issues and the recent trends involved in the implementation of such peculiar and complex ASICs will be reviewed and recent developments will be illustrated. Examples of technology transfer opportunities will also be discussed. Abstract: Pixel detectors are the working horse for tracking detectors in particle physics especially in high rate (100 GHz track rate) and radiation (10 MGy) environments. However, the state-of-the-art fabrication is laborious and expensive and the demands on precision, speed, and area are steadily rising. Directions pursued to mitigate challenges and/or reduce costs are (a) exploitation of 3D stacking, in particular high aspect ratio TSVs and (b) depleted monolithic CMOS pixel modules. The presentation will introduce the importance of pixel detectors in particle physics and give an overview over the state of the art and the current trends for future developments with some emphasis on the interplay between industrial developments and fundamental particle physics research. The NeXT-RAID system is designed to non-destructively acquire images of integrated circuits using a novel x-ray microscope based on a 2D array of spatially and temporally addressable nano-focused x-ray sources. The ensemble of distributed x-ray sources is integrated with a high precision platform for nano-positioning of an IC die, a system of x-ray optics that magnifies and focuses the image, and a 2D array of high resolution x-ray detectors for image capture. This approach enables “virtual delayering” of IC chips through 3D reconstruction using tomosynthesis and computational imaging using a compact device. Three key features of our technical approach for enhancing resolution to 10 nm in 3D include coded source imaging, over sampling and image magnification of > 1000. A unique component of this system is the x-ray source, which is designed to produce a spatially or temporally addressable 2D array of cold cathodes with electron beams focused down to 5 nm using electron lenses. Electrons from these e-beams are accelerated to high voltage (10-30 kV) in a vacuum enclosure and collide with a transmission-type anode made of a fused array of high-Z metal foils on a low-Z membrane (i.e., a Be window) to generate characteristic x-rays with bremsstrahlung x-ray background suppressed. The electron sources can be addressed leading to spatial and temporal modulation of the x-rays. Individual emitters are organized in sub-arrays of 512 x 512 emitters with 1 micron spacing (256 K emitters); these sub-arrays are then organized in an 11 x 11 array resulting in a total of 3 x 107 emitters with a current density can be ~100 A/cm2. The design and experimental results of the source, including the thermal management of the transmission anode and other potential applications will be discussed.